"This is my 10-year-old dog, Libby. 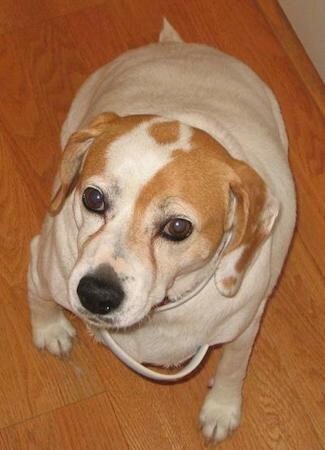 Her mother is a Foxhound and her father is a chubby Beagle. She is the sweetest dog ever who enjoys treats and being walked. We got her from a farm when she was 8-weeks-old. She was born on the Forth of July, so we named her Liberty Delilah. She goes by Libby. 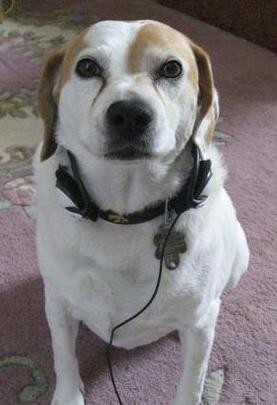 She is a typical naughty Beagle and she can often be found napping on the new sofa or hanging out in the kitchen waiting for a nibble. She is always so happy to see you and her tail never stops wagging!" The American Foxeagle is not a purebred dog. 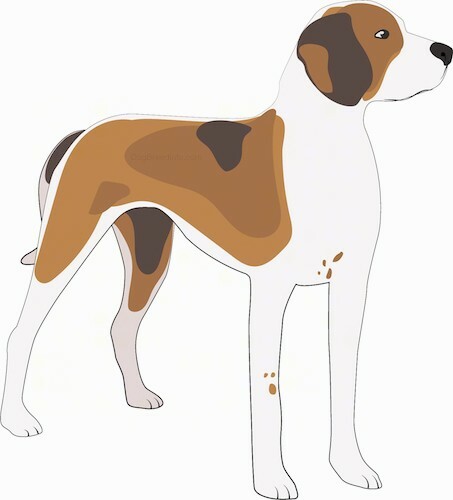 It is a cross between the Beagle and the American Foxhound. The best way to determine the temperament of a mixed breed is to look up all breeds in the cross and know you can get any combination of any of the characteristics found in either breed. Not all of these designer hybrid dogs being bred are 50% purebred to 50% purebred. It is very common for breeders to breed multi-generation crosses.